The close and long-lasting relationship between Vietnam and Sweden was emphasised by Swedish Ambassador to Vietnam, Pereric Högberg, when he spoke with The World & Vietnam Report on the occasion of the 49th anniversary of diplomatic ties between the two countries (11 January, 1969 - 2018). 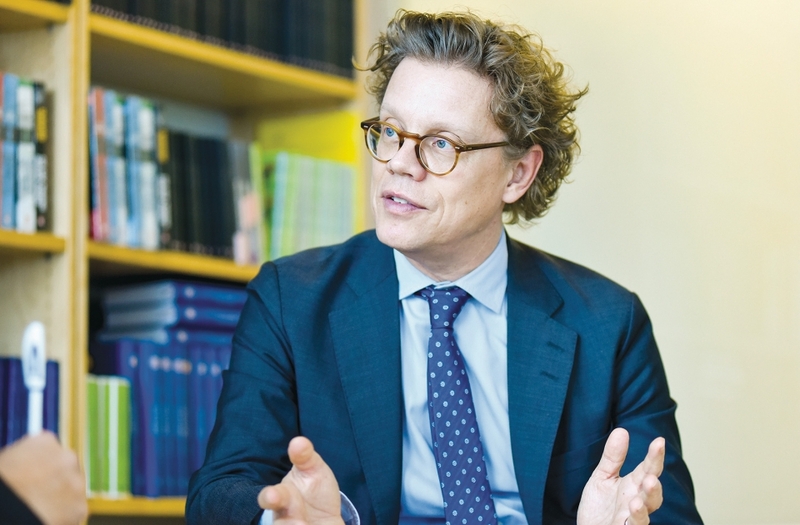 The Ambassador said that it is time for Sweden to stop the development funding for Vietnam and take relations to new heights as equal partners and cooperate simultaneously towards the future. Can you highlight some of the outstanding results of the partnership between Vietnam and Sweden, as well as the prospects for the future? 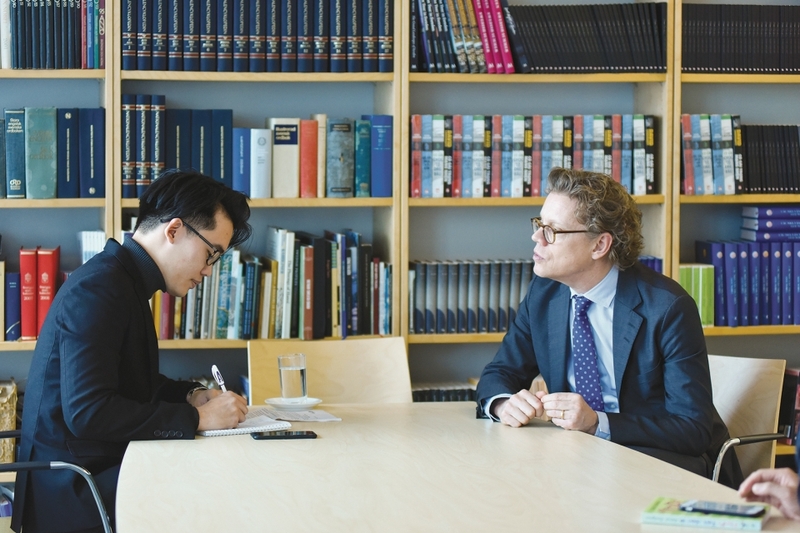 Generally, bilateral relations between Vietnam and Sweden have been very successful. We are approaching the 50th anniversary of diplomatic ties between the two countries. Sweden was actually the first Western country to establish diplomatic relations with Vietnam on 11 January, 1969. In my opinion, our shared history is one of the important factors which helps to further strengthen diplomatic ties between the two countries and people. Some Vietnamese citizens may not know the importance of your country to the Swedish people. In the late 1960s and early 1970s, there were many solidarity movements related to Vietnam developing across all countries. Not only the Swedish government, but the people also strongly supported the efforts and struggle to liberate the country for the Vietnamese people. These movements were not merely political, but contributed to the relationship between the two countries, bringing them closer together. Even today, political relations between the two countries are going from strength to strength. Notably, in the past year, high-level bilateral visits between Vietnam and Sweden have contributed to promoting a more effective relationship. 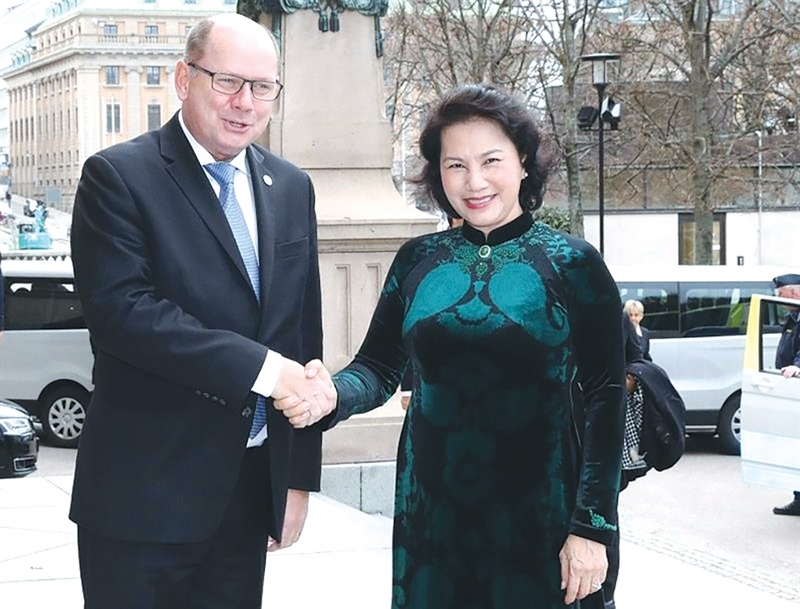 National Assembly Chairwoman Nguyen Thi Kim Ngan paid an official visit to Sweden in April 2017. The Swedish Foreign Minister Margot Wallström also visited Vietnam from 21-23 November 2017. As long-term friends, Sweden also shares the concerns over regional and international political developments with Vietnam, especially now that Sweden is a member of the UN Security Council. Total non-binding capital of Sweden to Vietnam has reached 3.5 billion USD - a significant figure. However, in 2013, Sweden decided to stop ODA funding to Vietnam, but from the perspective of the Swedish government, that is not something negative. On the contrary, this is a positive sign that Vietnam is ready to stand on its own feet. We are happy and proud that Sweden has been a part of Vietnam’s development and we will always offer support and assistance in order to help Vietnam’s economy keep rising and rising. It is time for Sweden to stop funding for Vietnam and bring this relationship to new heights, as partners working together to further develop both our countries. I am also very impressed with the diplomatic activities of the Vietnamese government. I have never before been to a country this active, with so many high-level visits, maintaining cooperation not only at the state-level, but also between ministries, agencies, organizations and enterprises. Next year will be special for both Vietnam and Sweden, as both countries celebrate the 50th anniversary of our diplomatic ties. Can you tell us some of the important commemorative events planned for this milestone in 2019? Currently, we are planning events to commemorate the 50th anniversary of Vietnam-Sweden diplomatic ties. This is an important mission not only for the Swedish Embassy in Vietnam but also the Vietnamese Embassy in Sweden. The two sides need to cooperate to celebrate our close and long-lasting relations over the last 50 years. As for the Embassy of Sweden in Vietnam, it is important to express the message that Sweden has been and will always be committed to cooperating with Vietnam. For me and the Embassy of Sweden, we always try to reach not only the “familiar faces” like State and Ministry officials, and other diplomats, but also regular Vietnamese citizens, especially the young who do not know the historic relationship between Vietnam and Sweden. This is an important task for me, the Vietnamese ambassador to Sweden, as well as all other diplomats, to maintain and promote this relationship. Of course, cultural, artistic and culinary activities will be the heart of the celebrations with three main themes: sustainability, safety and innovation. Notable activities in 2018 will include the Swedish Film Festival taking place within the framework of the European Film Festival. One of the most famous opera singers in the world, Anne Sofie von Otter, will come to Vietnam to perform and give a lecture at the National Academy of Music in early March. And what I’m hoping for most is that Vietnam and Sweden will work together to promote environmental protection, climate change adaptation, safety and social security. However, these activities can not take place on a day or two, but will require a long-term commitment from both sides. Trade and economic cooperation between Vietnam and Sweden has flourished, but two-way trade turnover remains modest at just over 1 billion USD. What should the two countries focus on to further promote bilateral trade and economic relations? Bilateral economic and trade relations between Vietnam and Sweden are rising steadily. To me, 1 billion USD is not a small number, it’s a good figure, signaling strong economic development in various fields. But that number could be higher. Right now, Swedish corporations and companies which are already present in China and Southeast Asia are seeing huge potential in Vietnam and are beginning to make plans to enter the market of this fast growing economy. Swedish manufacturers are known for their innovations. They operate in a transparent way and make high-quality products. Because of that, the prices of these products may be higher than usual, but considering their quality, the prices are not high at all. Swedish businesses need to pay close attention to the needs of the middle class in Vietnam, as my prediction is that in the next 5 to 10 years, the focus on consumers will be the turning point that determines the survival of a business. Negotiations on the Vietnam-EU Free Trade Agreement (EVFTA) have ended and the deal is pending ratification. What do you expect from this agreement, especially in promoting economic and trade cooperation between Vietnam and Sweden? My expectation is that the EVFTA will soon be ratified. Sweden always believes in free trade, and the Swedish market depends on free trade mechanisms. Protectionism does not allow for sustainable economic development, and prosperity only comes with an open market. I, along with the rest of Sweden, believe that Vietnam is a country that believes in free trade. The EVFTA must be approved by the EU Parliament. Therefore, Vietnam should make more efforts from now until the middle of the year to prove to the EU its commitment and determination to pursue this agreement. Vietnam should develop in a direction that the EU expects, as well as show improvement in labour rights and environmental protection. If those things are adhered to, the deal will soon be signed. Vietnamese students in Cambodia on January 13 organised an event to celebrate the 2018 Lunar New Year.